New Delhi: With great power comes great responsibility. The quote made popular by the iconic comic series ‘Spider-Man’ sums up the challenges that social media platforms like WhatsApp and Facebook are facing in India. They have been accused of being a carrier of hate messages and fake news that incited mob violence. And, now they stare at the prospects of stricter government rules, greater accountability and regulatory scrutiny. These platforms, for some of whom India is the biggest consumer base outside of their home country, can see very much clear the writing on the wall — follow the rules of engagement if you want to be in the world’s fastest growing economy. The year 2018 will go down in history as the one where social networking platforms not only made country-specific changes — be it labeling forwarded messages, limiting the number of people a user can send a message to at one go and launching public awareness campaign against fake news. They also agreed to store user data belonging to Indians within the country. Globally, the tech and social giants scrambled to make efforts to mollify users with better control of their digital profile and data trail, as they faced backlash over data breaches. India market was no different. Earlier this year, Facebook came under the regulatory glare after a global data leak scandal hit about 87 million users. British data analytics and political consulting firm Cambridge Analytica was accused of harvesting personal information of millions of Facebook users illegally to help political campaigns and influence polls in several countries. Law and IT Minister Ravi Shankar Prasad warned the US social media giant of “stringent” action for any attempt to influence polls through data theft, even threatening to summon its CEO Mark Zuckerberg, if needed. The IT ministry slapped two notices on Cambridge Analytica and Facebook over the data breaches. Facebook admitted that nearly 5.62 lakh people in India were “potentially affected” by the incident and rushed to tighten processes, to prevent a repeat. But Cambridge Analytica continued to be evasive and in mid this year the Centre asked CBI to probe the alleged misuse of data of India’s Facebook users by the British political consultancy firm. Facebook, meanwhile, to bring transparency in political advertisements in the run-up to 2019 general elections, is making it compulsory for advertisers to disclose their identity and location before any such ad material can be run on the popular social media platform and Instagram. Twitter, too, intensified its crackdown on fake and automated accounts and began removing suspicious accounts from users’ followers to give a “meaningful and accurate” view of follower count. But, it was Facebook-owned WhatsApp that faced the maximum heat after rumours circulating on the messaging platform incited mob fury and claimed over a dozen lives in various parts of the country. The toxic messages that spread on WhatsApp instigated riots in certain cases, as people forwarded and misinterpreted videos on the messaging platform. Following government’s warnings, WhatsApp recently named a grievance officer for India and announced the appointment of an India head — a first for the country that accounts for most users across the world. It has launched a label that identifies forwarded messages and barred forwarding of messages to more than five people at one go. 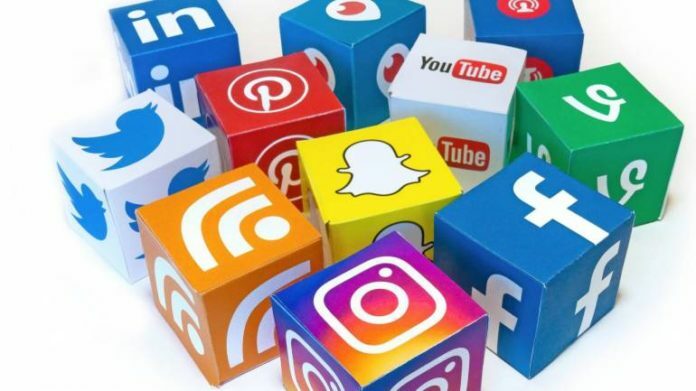 As the Supreme Court voiced concerns over irresponsible content on social media, the government rushed to propose changes in IT Act’s rules and released draft amendments which would require “intermediaries” to enable tracing of originators of information when required by government agencies. In the political slugfest that ensued, the Congress alleged that if the amendments were cleared, there would be a tremendous expansion in the power of the “big brother” government on ordinary citizens, “reminiscent of eerie dictatorships”. Some Cyberlaw experts have equated the changes in rules to India’s own anti-encryption law. The proposals require social media firms to deploy technology-based automated tools for proactively identifying, removing or disabling public access to “unlawful information or content”. If approved, these changes will place social media platforms — even those like WhatsApp which promise users privacy and encryption — firmly under government lens, forcing them to adopt stricter due-diligence practices. The amendments — which come ahead of the general polls in 2019 — propose that platforms would have to inform users to refrain from hosting, uploading or sharing any content that is blasphemous, obscene, defamatory, hateful or racially, ethnically objectionable, or threatens national security. When backed by lawful order, these platforms will have to, within 72 hours, provide assistance as asked for by any government agency. The IT ministry has met Facebook, WhatsApp, Twitter, Google and others to discuss the proposed changes and public feedback has been sought by January 15. The seemingly-infallible tech behemoths are already being equated with big oil and big tobacco, in Western markets. The larger question is whether the shifting public perception and recent moves by the government to regulate these habit-forming, new-age platforms would change the very essence of social media, once considered a harbinger of free speech and individual rights. Previous articleWhy are people opting for the Epoxy Flooring Remedies?